Serviced November 2018. A new propeller on order to be replaced in the coming week. Engine cover upholstery is torn and needs replacement. Full-width aft swim platform Top folding boarding /swim ladder at bow and stern. Non-skid deck. Anchor locker. Bow lounge with under seating storage. In-floor wakeboard/ski storage compartment Stock #170277 Always stored under cover. Powered with a 260 HP Mercruiser engine. Turn key ready! Reason for selling is moving out of country. Boat is like new with very low hours and no signs of wear. Gleaming gelcoat and dynamic paint scheme really make this Tahoe a head turner. Trailer is in good condition, also with no signs of wear. Boat has been garage stored. Stock #109967 Excellent condition, like new! LED light package on interior! Ready to hit the water! If you are in the market for a bowrider, look no further than this 2014 Tahoe Q4i, just reduced to $26,500 (offers encouraged). This boat is located in Springfield, Georgia and is in great condition. She is also equipped with a Mercruiser engine that has only 30 hours. Reason for selling is not using. This 2010 Tahoe Q4 SS is in great shape and shows light use and overall good care. Prop is good and the hull looks great. Obvious the trailer has not seen much use so the same for the boat. Great buy! Stock #043966 Fun in the Sun! 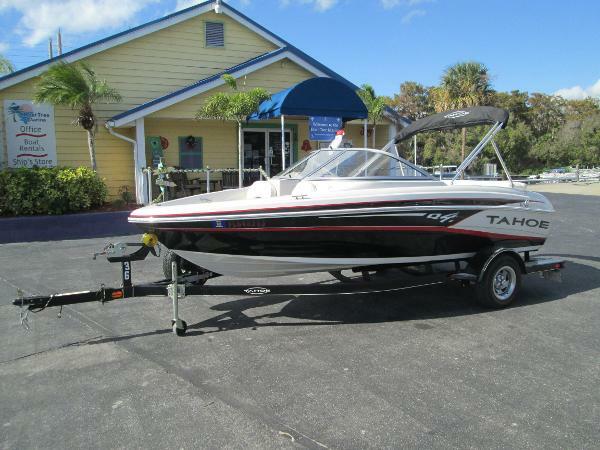 If you are in the market for a bowrider, look no further than this 2010 Tahoe Q4i SS, just reduced to $18,000 (offers encouraged). 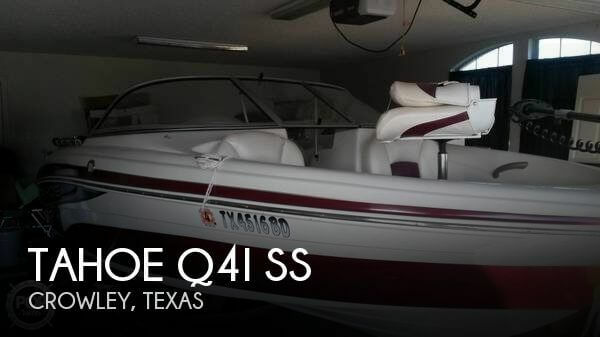 This boat is located in Crowley, Texas and is in great condition. She is also equipped with a Mercruiser engine that has only 3 hours. 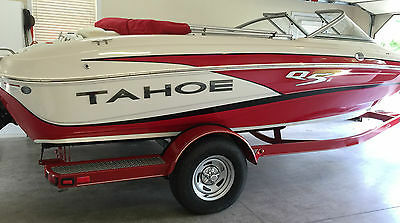 2010 Tahoe Q5i Deck and Ski Boat 2010 Tahoe Q5i Deck/Ski Boat. Mercruiser 4.3 V6 Inboard/Outboard Motor. Wake Tower W/Speakers, Drive on Single Axle Trailer. This Tahoe Q4 is in good shape she has been well maintained, and it shows! Service records from the last two owners are available at inspection time. 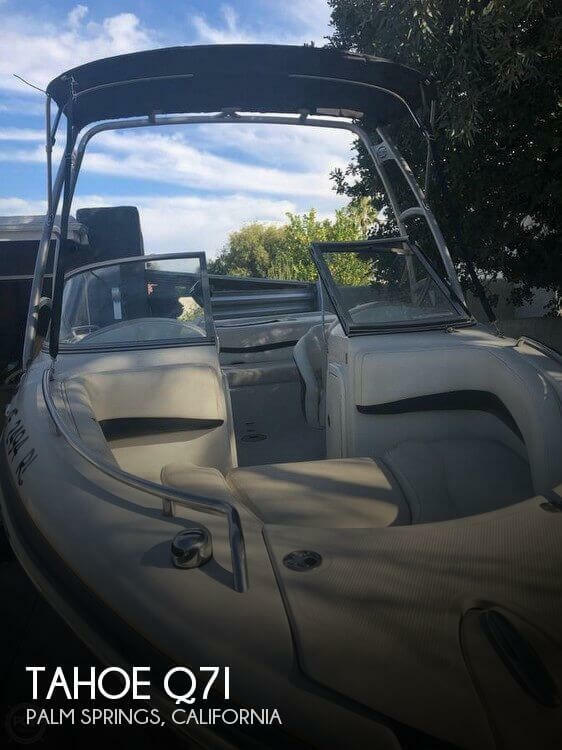 The owner stores the boat inside when not in use and spends more time taking care of it than using, so is ready to find an owner who will get more use from her. 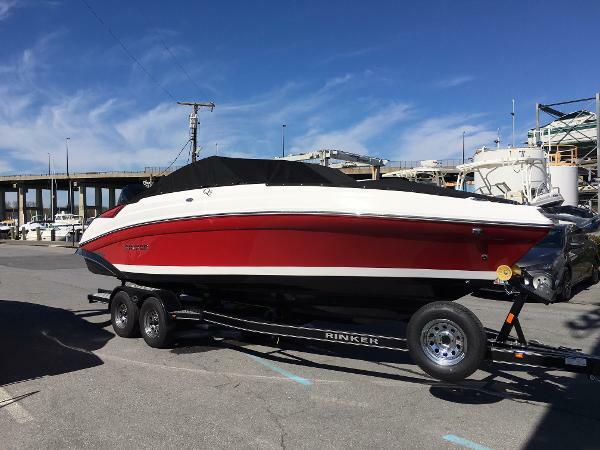 Owner states that everything works as expected and nothing needs attention mechanically, yet our offers are contingent on an inspection so get yours in today and out on the water tomorrow! The trailer is in great shape. The owner just replaced the surge brake system, brake lines, and tires. 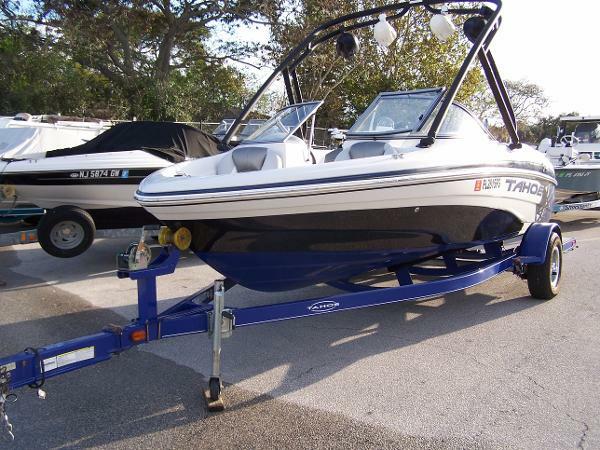 Stock #135421 Perfect for the Whole Family Fishing, Skiing, Entertaining - Numerous Upgrades including Killer Sound System with Subwoofers - Comes with Covers!!! 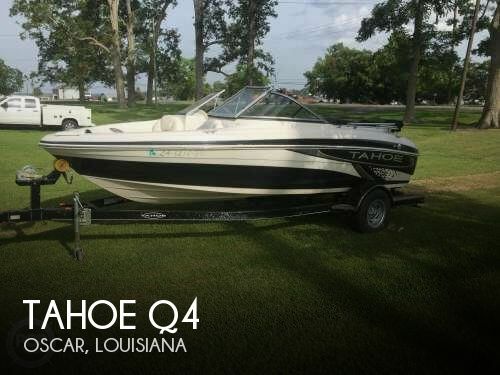 If you are in the market for a fish and ski, look no further than this 2006 Tahoe Q4, just reduced to $15,000 (offers encouraged). 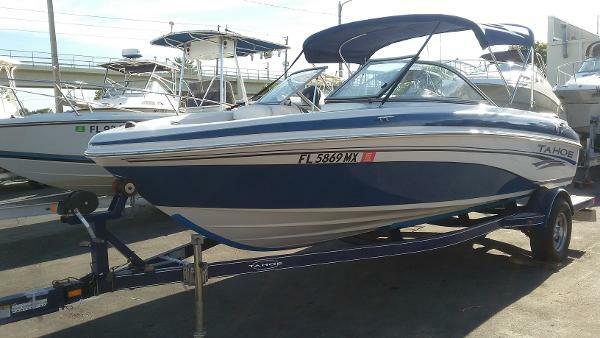 This boat is located in Rainier, Washington and is in great condition. She is also equipped with a Mercruiser engine that has only 127 hours. Reason for selling is not using it enough. I have not personally seen this vessel. 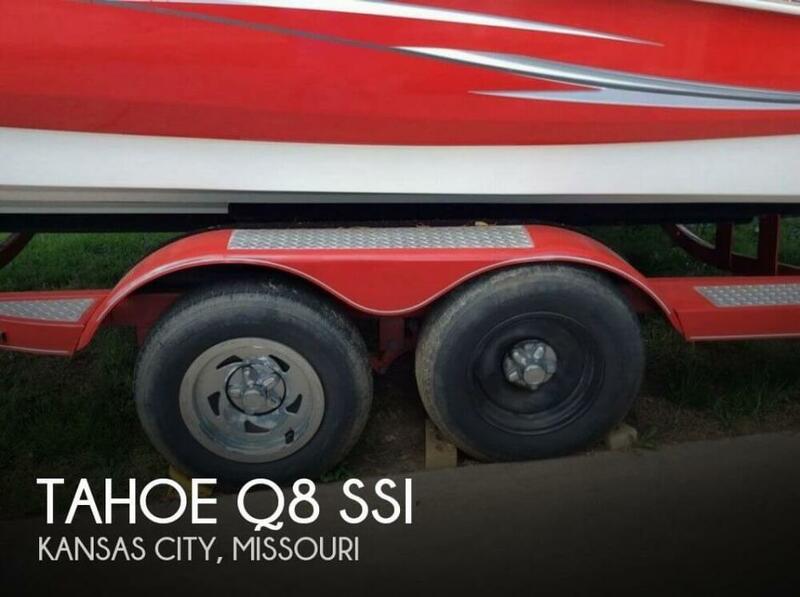 All information on this vessel has been provided by the seller. Looks to be in good shape and is reported to run well. 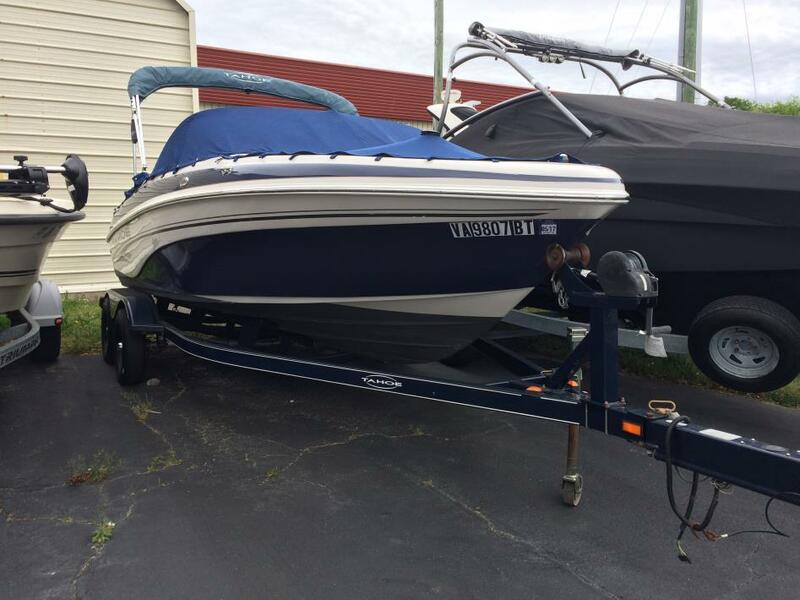 Seller reports that all service work has been professionally done by a local marina. Stock #110482 Great for a family day on the water!! Ready to go!! 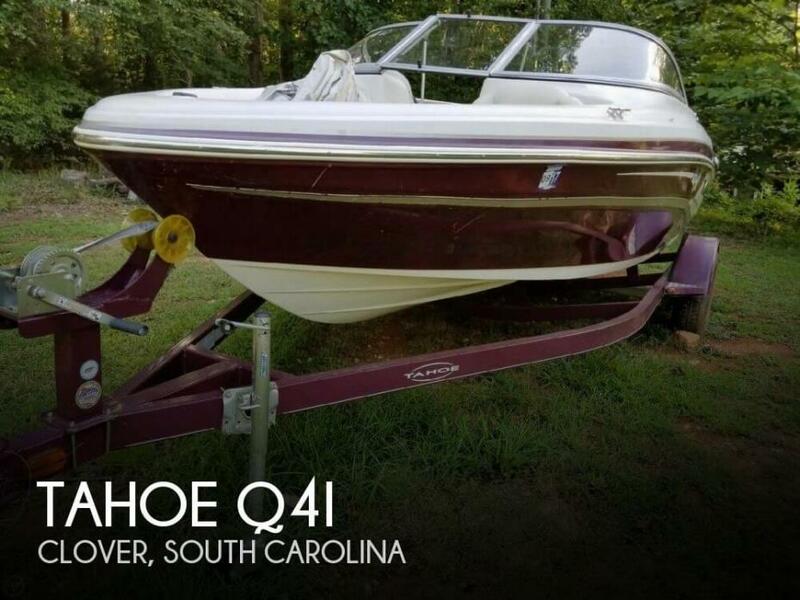 If you are in the market for a bowrider, look no further than this 2006 Tahoe Q4, just reduced to $15,000 (offers encouraged). 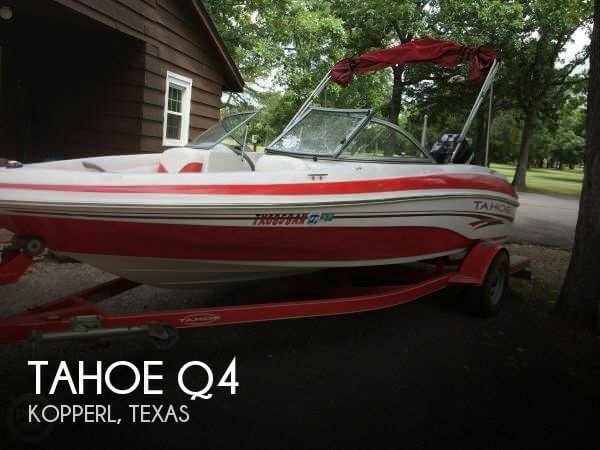 This boat is located in Kopperl, Texas and is in good condition. She is also equipped with a Mercury engine. Reason for selling is doesn't have time to use. 2013 Tahoe Q4 Like New 2013 Tahoe Q4 and trailer with swing tongue . Very Easy to maneuver and tow, the Q4 I/O may be one of the easiest boats to handle on - and off - the water. 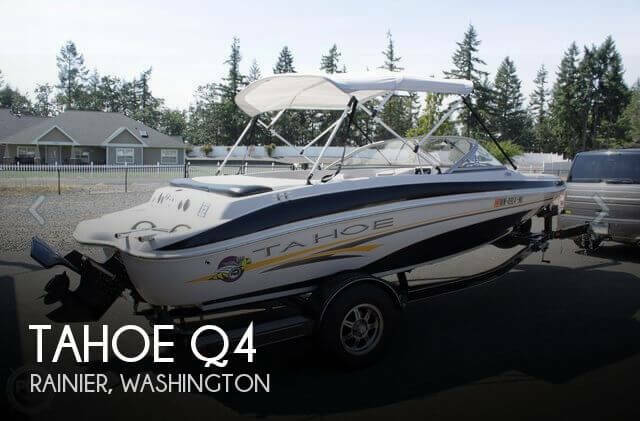 Loaded with style, class and comfort, TAHOE Q4 boats have many of the features of our popular Q5 boats, but are slightly more compact. 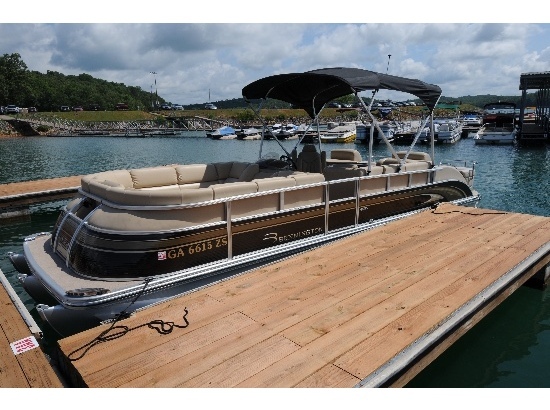 Standard features include swim platform, boarding ladder, AM/FM CD, drink holders, abundant storage and plush seating. 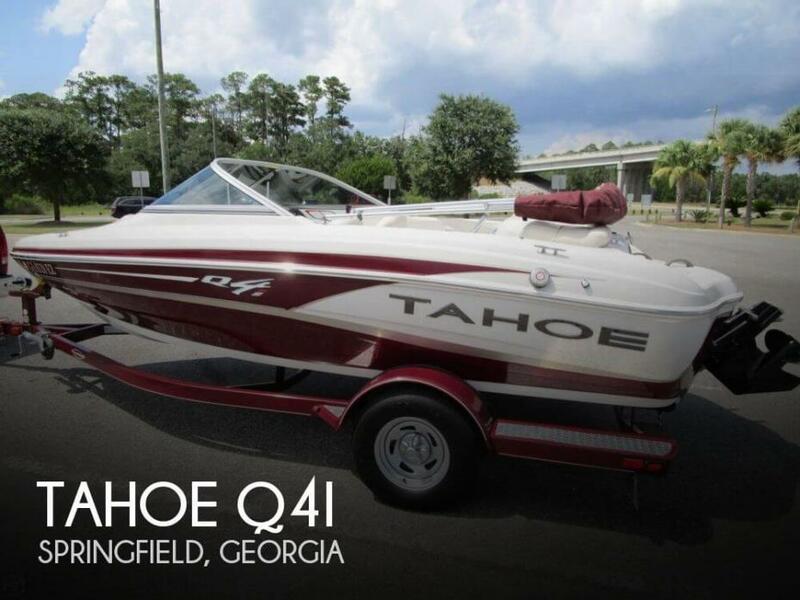 If you enjoy an invigorating run down the river or a lazy afternoon on the lake, a Q4 could be just the boat you need. Full out or in a tranquil cove, you'll love the performance of our HydroStep hull and standard MerCruiser inboard/outboard engine. If you're ready to move into a higher class, you're ready for a Q4 I/O.